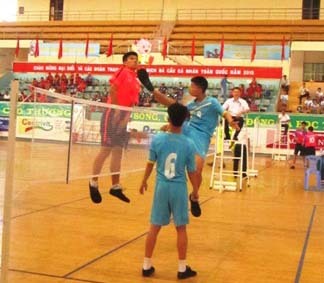 DONG THAP (VNS) — Dong Thap won three gold medals and topped the rankings of the National Shuttlecock Championships, which ended on its home turf on April 2. The host province, which is home to several national team players, also bagged one silver and five bronze medals. Bac Giang came second with two gold, two silver and two bronze medals, followed by Nghe An, which secured one gold, one silver and two bronze medals.